You are here: Home / Mental Health Week / SA Mental Health Commissioner Chris Burns: Don’t be afraid to put up your hand and ask for help. What a tremendous week of blogs we’ve hosted on the SA Mental Health Commission website this 2017 Mental Health Week. It has been amazing and fascinating to read the insights from our Governor, a former Prime Minister and the new Chair of beyondblue, one of the State’s best-known sporting heroes, a highly regarded South Australian journalist and a highly respected psychiatrist and mindfulness teacher. Each has shared their life experiences and perceptions of mental health and wellbeing in our State. The key thread of their messages has been that mental health issues impact all South Australians at some time, if not multiple times, in our lives. At any point in time, one in five South Australians is experiencing a diagnosable mental illness. Indeed 45% of South Australians will experience a diagnosable mental illness at some point in their life. That means that, inevitably, 55% of South Australians who don’t experience a diagnosable mental illness will be impacted by those that do. Mental health and wellbeing impacts 100% of our society. 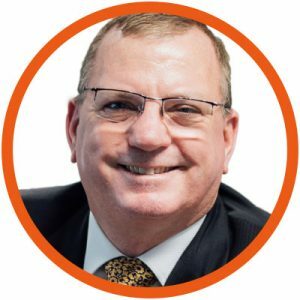 I was drawn to my current role as Mental Health Commissioner through my experience leading Australian Defence Force personnel experiencing mental ill-health and later working with mates and veterans experiencing Post Traumatic Stress. While in the service I wrongfully empathised with those who were reluctant to put up their hand up and ask for help for fear of losing their career. Yet my own experience of having deployed without any psychological preparation or in-theatre and post deployment support taught me to ensure that soldiers I deployed, and their families, received the support that was not available to me. Once I hung up the uniform, I was surprised and concerned with the number of mates and veterans I encountered who were clearly struggling but were reluctant to speak up and/or didn’t know where to go for help. This motivated me to try to find out how we can help and support those that offer the ultimate sacrifice to assure the security of our nation. Through that experience, I gained a much greater insight of the broader prevalence of mental illness in our population. I’d like to think things have improved significantly in the last decade, but my experience in this role has taught me that as a society we have a long way to go. We need to acknowledge the prevalence of mental illness in our community and not be afraid to talk about it. We shouldn’t be fearful of putting up our hand up and asking for help if things don’t feel right. The mental health and wellbeing of our State is the responsibility of every South Australian. We also need to breakdown the stigma surrounding mental illness that prevents South Australians who are suffering in silence from seeking help. We can only do this by improving our awareness and being prepared to openly discuss mental health and wellbeing in our community. While it is important to encourage open discussion of mental health issues, it is just as important to build resilience and grow community connectedness. A message we have heard loud and clear through our consultations and conversations is that there are some very lonely people in our State, particularly within our older person’s community. We need to rebuild our neighbourhoods and communities. I conclude by thanking the esteemed contributors to our mental health week blogs. They have been extremely generous with their time and their insights. 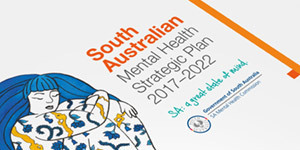 As leaders of our South Australian community they provide the drive and motivation to strengthen the mental health and wellbeing of all South Australians in order to grow our State’s mental wealth.